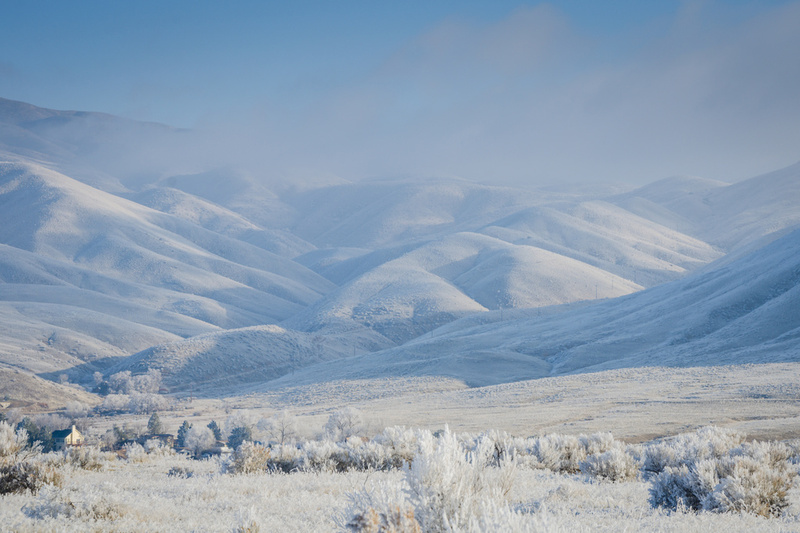 Just loved this view of the frosty hills and the way the light & shadows accentuate the soft contours of the landscape. Merry Christmas to you all. Wishing you a most joyous holiday season. breathtaking, instant fave, I can't even find words to describe this!!!! Merry Christmas to you and yours! Wow! How amazing is this! ?an instant fav! Lovely, soft capture of this stunning view. Wow... i so love this shot. Do you have the before winter shot of this? Looks like a familiar landscape. Fav of course! Gorgeous blues and whites. Merry Christmas to you too. Wow that is gorgeous Lisa!! Merry Christmas! Oh my what a vista :) just love the tones ! Merry Christmas! Gorgeous shot. Happy Christmas to you and yours. Beautiful Lisa. A Merry Christmas fav. Awesome shot, it is so vast!! Perfect title for a perfect photo. What a great view. This really says Idaho to me. Gorgeous! A real winter wonderland! Lisa, this is an amazing capture! Fav instantly! Enjoy today and have a good holiday season! Wow Lisa - this is breathtakingly beautiful. Definite fav. Hope you've had / are having a wonderful day. breathtaking .. at the risk of repeating from above ... is the perfect word .. Fav!! Fav - just wonderful. Merry Christmas to you and yours. Breathtakingly gorgeous. Wish I was there. "Sugar Dusted" is the perfect title. How beautiful - as if dusted with icing sugar. Fav. Happy Christmas Lisa. @suesmith Merry Christmas to you, Sue! Hope you enjoyed the holidays. Thank you for your comment and fav! This is stunning! Simply put- fav! Beautiful capture, Lisa! It looks great large. Instant FAV! Totally brilliant capture! So beautiful! A belated Merry Christmas to you as well! just amazing! such beautiful atmosphere and view! fav! Wonderful image, so well taken. Fav. Oh wow, this is just so beautiful! Do you walk out your door every day and think about how thankful you are to live in such a wonderful place? Oh so gorgeous, I love it. I was down there this weekend and didn't see this but saw a lot of frosty beauty on the way home. Anyway - a fav. This is amazing and then.....you see the little white house and are blown away! Just an awesome image! Fav! Stunning - and Fav! When I see shots like this I feel like I've really missed out having not had the time to fully engage in the 365 community. Stunning scene and capture. I love the subtlety of the tones. I'm a bit late but it's never too late to add a fav. so I have. You live in a beautiful part of the world and you certainly make the most of it.